Bentley Systems has entered an agreement to acquire Quebec City-based AIworx, provider of machine learning and internet of things (IoT) technologies and services. Bentley Systems is the leading global provider of software solutions to engineers, architects, geospatial professionals, constructors, and owner-operators for the design, construction, and operations of infrastructure. 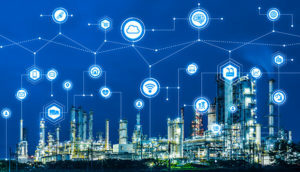 The addition of AIworx brings advancements in data collection and analysis to leverage infrastructure engineering digital twins, continuously updated with real-time contextual information, to optimize productivity, operations and maintenance, Bentley Systems said. Bentley Systems also announced the acquisition of ACE enterprise Slovakia, provider of innovative technology solutions to interface with enterprise resource planning (ERP), enterprise asset management (EAM), and geographical information systems. ACE enterprise has been a technology partner of Bentley Systems, and the ACE Enterprise Platform is used for the Bentley AssetWise connector that is certified for both SAP ERP and SAP HANA. “AIworx has been providing machine learning and IoT technologies and services to help organizations generate, understand, and act on data so they can make better business decisions,” said Andre Villemaire, co-founder and president of AIworx.